I’ve been a very busy bee recently, and June was no exception. I actually had one of my most successful months ever, and that was no doubt in part to a great market night I took part in on Facebook, as well as some new print designs that I made available in my shop. To check them out, go visit! 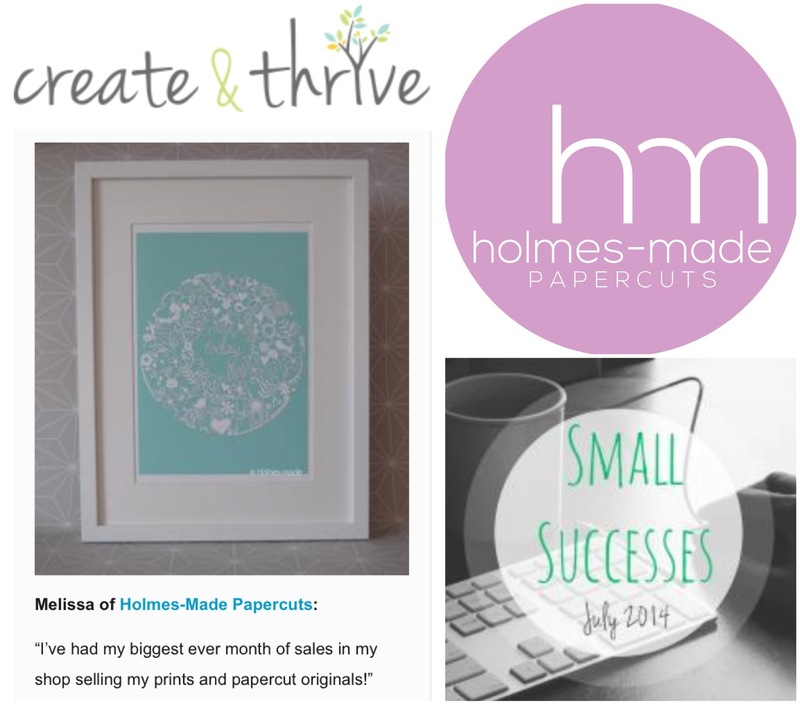 I was thrilled that my success got a mention in Create & Thrive’s “Small Successes” blog – what a lovely achievement. And it’s all thanks to my wonderful customers! Create & Thrive, set up by Australian jeweller Jess Van Den, is a gorgeous website which provides a helpful advice platform for its thriving community of readers – mostly creative business types, just like me. Covering everything from product photography to running social media, Create & Thrive is a great place to go if you’re looking for a little business inspiration or support. They even run a monthly book club and have a host of resources to help business owners – well – create and thrive!